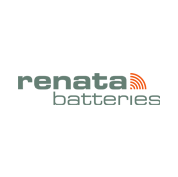 Shop our large selection of Renata watch batteries, in many sizes & capacities! The Renata collection offers a complete range of 0% Hg - Mercury Free Silver Oxide items, Lithium Coin Batteries, and Alkaline Button Cells developed specifically with and for the watch industry. Get the best deals thanks to our wholesale discounts!